Thank you to all our wonderful clients for choosing Coletta Sportfishing. 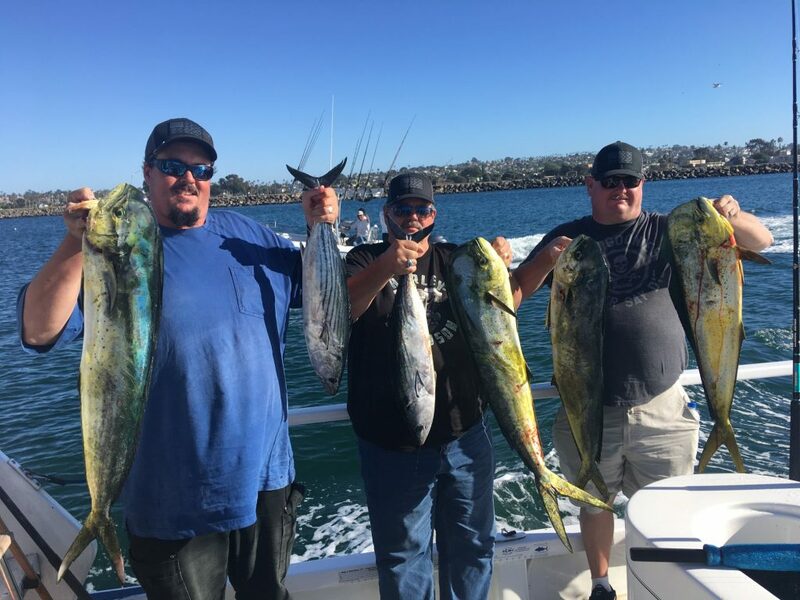 It has been a great month and while we had a few days with slow fishing, most days we were able to find the fish including some great days of Dorado Fishing. The fishing in local waters for Rockfish and Boccaccio has been pretty consistent, along with bonito mixed in. That has been the story, just a real mixed bag and fun for the entire family. Remember we cater to all ages and experience levels, so bring the kids. 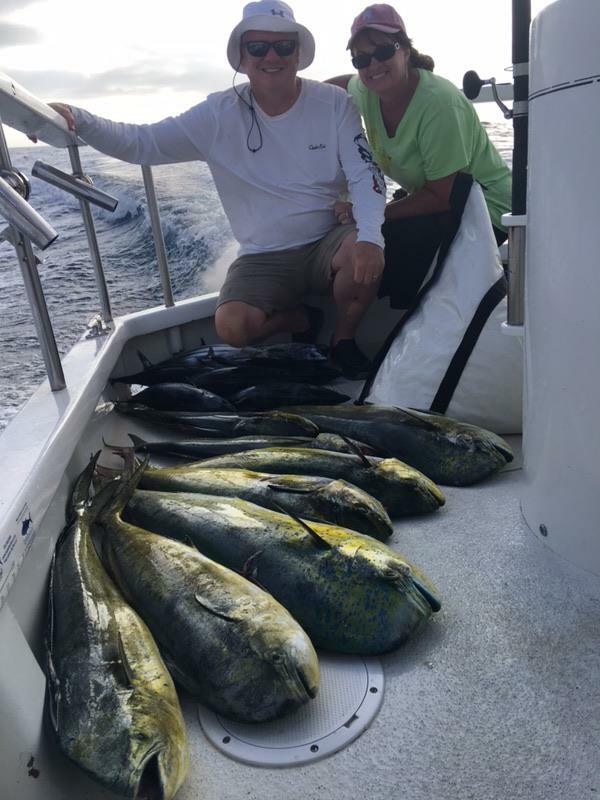 Offshore, the Dorado and Skipjack tuna have been decent. On most days we are working hard to find them and when we do we have been having a blast. The key has been using our local knowledge to study the waters each day combined with our electronics to to find the fish. Back at the dock our captains and mates have been busy cleaning fresh fish. We still have dates available in October as well as throughout the Fall and into Winter. We look forward to creating a sportfishing adventure with you. Check out my daily reports below and even more reports live on Facebook and Instagram. Exceptional Offshore Fishing – Limits & More Limits! Captain Brian at the helm and first mate Mat on a Full day offshore trip today. It was exceptional fishing today with limit style fishing. The skipjack were ever present and Captain Brian opted to drive away from hungry schools in search of other species. Chaos was the name of the game and they caught 99 fish at last count. Limits of dorado, limits of yellowtail, all the skipjack you could ever reel on and 1 yellowfin tuna. They released more fish than they could keep track of. Thanks Kristian for choosing Coletta Sport Fishing for your fishing adventure. Offshore Fishing Continues To Rock & Roll! Captain Brian at the helm and first mate Mat on a full day offshore trip today. Another excellent day of offshore fishing. Today they caught about 50 skipjack tuna and released most of them. 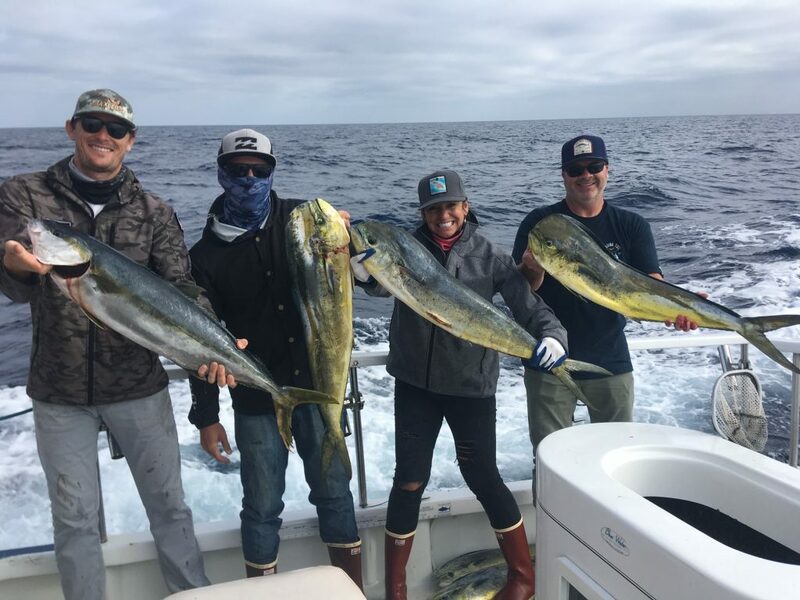 They also caught 10 yellowtail and 5 dorado. Thanks Bradley for choosing Coletta Sport Fishing for your fishing adventure. Right Kelp Paddy = Wide Open Yellowtail Bite! Captain Jon at the helm and first mate Hale on a Full day offshore today. Despite the overcast and wind they toughed it out and found a big kelp patty and had a wide-open bite for a few drifts. It was a nice day on the water with a cool group from Riverside. They caught 17 yellowtail and 2 skipjack released. Thanks Mike for choosing Coletta Sport Fishing for your fishing adventure. 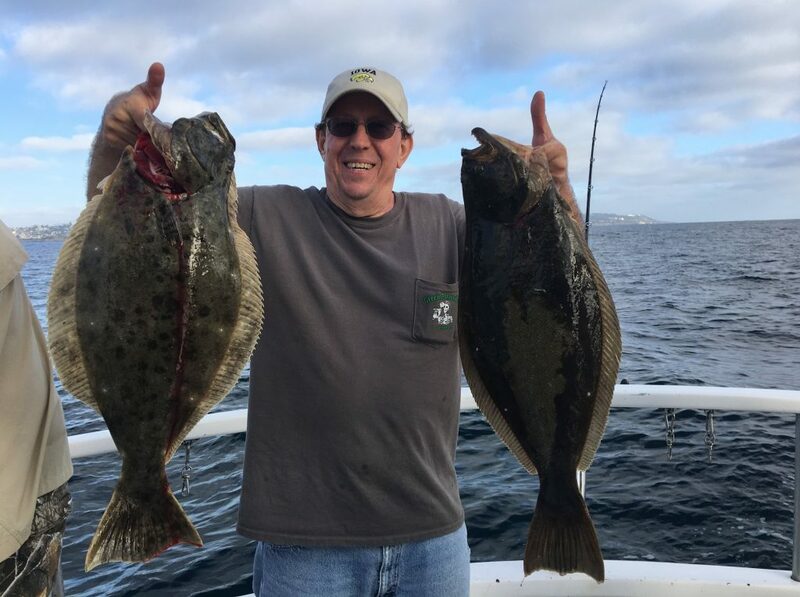 Halibut They Want – Halibut They Get! Captain Brian at the helm and first mate Hale on a ½ day local trip this afternoon. They toughed their tough fishing this afternoon and acquired the target species. Today they went 2 for 3 on halibut with the big one getting away. They also caught a mixed bag of bass and rockfish. Thanks Tat for choosing Coletta Sport Fishing for your fishing adventure. Captain Brian at the helm and first mate Mat on a Full day offshore trip today. Today although they could have caught unlimited skipjack they opted to leave the purple tunas behind in search of other species. They tried endless kelp paddy’s and finished our day with Mexican limits of good sized dorado and a mess of skipjack. Thanks Don for choosing Coletta Sport Fishing for your fishing adventure. 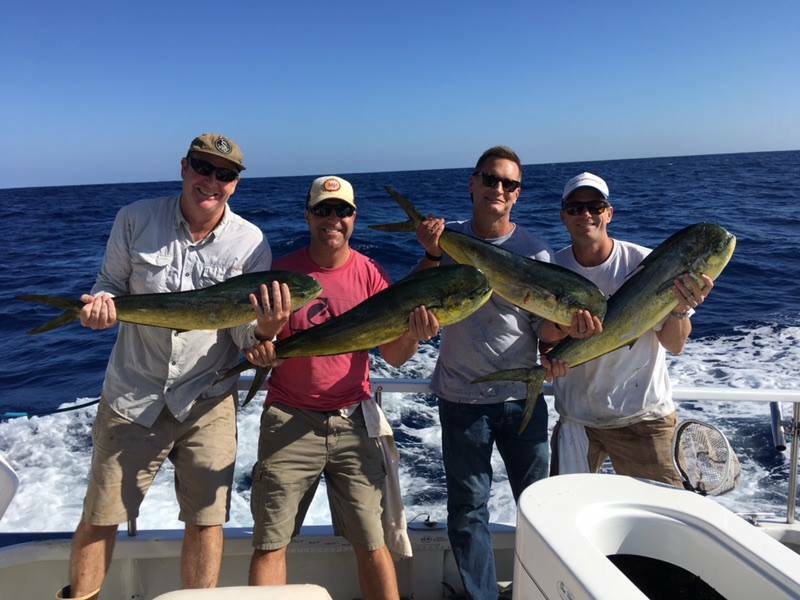 Success Close to Home – Quality Dorado! Captain Brian at the helm and first mate Hale on a ¾ Day Coastal today. Close to home paddy fishing today produced a handful of Dorado and a couple of bonito. Thanks Winfred for choosing Coletta Sport Fishing for your fishing adventure.